This Alert Affects:Anyone who experienced leaking or other problems with their PEX piping. What’s Going On?Attorneys working with ClassAction.org are asking to hear from homeowners who’ve experienced problems with their PEX tubing and fittings. They’re working to determine whether lawsuits can be filed but first need to hear from people like you to gather more information about the source of the PEX piping problems. What You Can Do:If you’ve had leaking or other problems with your PEX piping, get in touch with ClassAction.org today by filling out the form on this page. One of the attorneys we work with may then reach out to you directly to learn more about your problems and to explain how you could help get a class action started. What’s the Catch?There is no catch. We’ve read through dozens of complaints from people who experienced problems with their PEX tubing and fittings – and we’re trying to connect them to attorneys for more help. Attorneys working with ClassAction.org have opened an investigation into cross-linked polyethylene (PEX) piping. 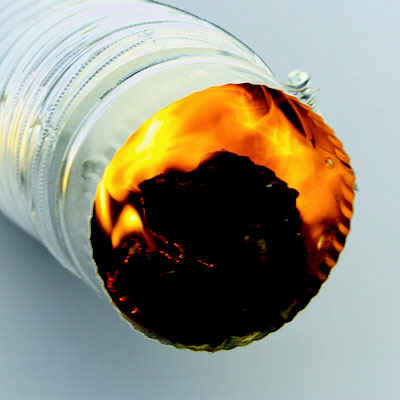 They have reason to believe a number of major manufacturers can be sued for selling defective products in light of a growing number of complaints that the tubing and fittings can crack, leak and flood the surrounding area. Before the attorneys can take action, however, they need to hear from homeowners who experienced problems with their PEX tubing and fittings. What’s Causing the PEX Piping Problems? It is believed that some of the issues being reported by consumers are caused by one of two problems, which can be described below. Early research has suggested that these issues are not related to improper installation or overtightening, but rather a manufacturing defect. PEX pipes are made of plastic tubing that is connected by brass fittings. It has been alleged that these fittings contain a higher-than-normal level of zinc, which, when they come in contact with water, can fail earlier than expected due to a process known as “dezincification.” This can cause a range of problems, including leaks and flooding. It is believed that some PEX tubing may be failing due to the amount of stress placed on the brass fittings connecting the tubes. When repetitive stress is put on the fittings, a hole or notch can develop and can eventually progress to a crack or fracture. A number of manufacturers, including Uponor, Viega, Nibco and Zurn, have already been sued over their PEX piping products. While some of these cases have settled or are still moving forward, attorneys are turning their attention to other brands to determine whether failure of the PEX tubing is an industry-wide problem. Attorneys working with ClassAction.org are trying to determine whether class action lawsuits can be filed against the following companies. What Issues Are Being Reported? If you’ve had problems with PEX tubing and fittings, you may be able to take action. Attorneys working with ClassAction.org are asking to speak with homeowners across the country to learn more about the problems that seem to be plaguing many PEX piping systems. If you’ve experienced leaking, flooding or other issues, tell us about it by filling out the form on this page. Once you get in touch, one of the attorneys we work with may reach out to you directly to ask you a few questions and to explain why you may be owed money for repairs and other expenses. It doesn’t cost anything to talk to a lawyer or to contact us – and you’re never obligated to take legal action unless you want to. InterNACHI has grown to dominate the inspection industry and, in addition to its Residential Standards of Practice, it has developed a comprehensive Standards of Practice for the Inspection of Commercial Properties. Today, most types of inspections from mold to fire door inspections are performed in accordance with one of InterNACHI’s Standards of Practice. In the inspection business, phrases that describe conditions found during an inspection are called “narratives.” Narrative reports use reporting language that more completely describes each condition. Descriptions are not abbreviated. Although the inspector’s report had mentioned the problem, it hadn’t made clear the seriousness of the condition, or the possible consequences of ignoring it. Today, a six-page report would be considered short for a small house. For example, using a checklist report, an inspector finding a number of inoperable lights in a home would check a box in the “INTERIOR” section labeled something like “some lights inoperable,” and that would be the limit of the information passed on to the client. Other information often listed outside the main body of the report, either near the beginning or near the end, are disclaimers, and sometimes a copy of the inspection agreement, and sometimes a copy of the Standards of Practice. A page showing the inspector’s professional credentials, designations, affiliations and memberships is also often included. And it is a good idea to include InterNACHI’s Now That You’ve Had a Home Inspection book. Inspection reports often include a summary report listing major problems to ensure that important issues are not missed by the reader. It’s important that the reader be aware of safety issues or conditions which will be expensive to correct. With this in mind, some inspectors color-code report narratives, although many feel that color-coding exposes them to increased liability and don’t do this. The main body of the report may be broken down into sections according to home systems, such as “ELECTRICAL,” “PLUMBING,” “HEATING,” etc., or it may be broken down by area of the home: “EXTERIOR,” “INTERIOR,” “KITCHEN,” “BEDROOMS,” etc. An FHA loan is a federal-assistance mortgage loan offered by qualified lenders and backed by the Federal Housing Administration. During the Great Depression of the 1930s, soaring foreclosure and default rates led lenders to tighten their loan requirements to the detriment of the prospective homeowner. The FHA was created during this time to provide lending institutions (such as banks, savings and loan associations, and mortgage companies) with sufficient insurance to allow them to ease up on eligibility requirements for borrowers so that they could be approved for loans that they could not otherwise afford. If a borrower defaults on an FHA loan, the FHA pays off the mortgage from a reservoir of collected fees. The FHA funds this reservoir with fees charged to the borrower, such as an upfront mortgage insurance premium, and small, ongoing monthly fees. funding for home improvement through FHA 203k Programs. How does a home buyer get an FHA loan? Home buyers who wish to obtain FHA loans need to contact several lenders and ask them if they make FHA-backed loans. Bear in mind that each lender sets its own terms and rates, so comparison-shopping is critical. Next, the lender assesses the borrower for risk by examining their income level, debt-to-income ratio, credit repayment history, and expenses. Certain other factors are also considered, such as how the property will be used, how many units are on the property, and whether the borrower will actually live in the home. Note that prospective homeowners may be denied an FHA loan if they plan to rent the property out to others and not live in it themselves. What are the limitations and disadvantages of an FHA loan? an upfront mortgage insurance premium (UFMIP) equal to 1.5% of the base mortgage amount. In summary, prospective homeowners considering FHA loans should weigh their individual finances, needs and credit history, along with the pros and cons unique to this type of mortgage. The maximum developed length of a clothes dryer exhaust duct shall not exceed 35 feet from the dryer location to the wall or roof termination. The maximum length of the duct shall be reduced 2.5 feet for each 45-degree (0.8 rad) bend, and 5 feet for each 90-degree (1.6 rad) bend. The maximum length of the exhaust duct does not include the transition duct. 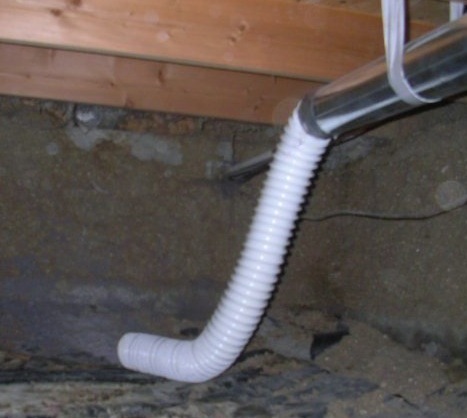 Exhaust ducts shall terminate on the outside of the building or shall be in accordance with the dryer manufacturer’s installation instructions. Exhaust ducts shall terminate not less than 3 feet in any direction from openings into buildings. Exhaust duct terminations shall be equipped with a backdraft damper. Screens shall not be installed at the duct termination. Transition ducts shall not be concealed within construction. Flexible transition ducts used to connect the dryer to the exhaust duct system shall be limited to single lengths not to exceed 8 feet, and shall be listed and labeled in accordance with UL 2158A. Exhaust ducts shall be supported at intervals not to exceed 12 feet and shall be secured in place. The insert end of the duct shall extend into the adjoining duct or fitting in the direction of airflow. Exhaust duct joints shall be sealed in accordance with Section M1601.4.1 and shall be mechanically fastened. Ducts shall not be joined with screws or similar fasteners that protrude more than 1/8-inch into the inside of the duct. Additionally, makeup air for the laundry room in an amount equal to the sum – in cubic feet per minute (CFM) – of the dryer vent fan, and of any laundry room fans, must be supplied when both fans are operating. Depending on the laundry room’s size, this may approach 300 CFM. Makeup air would need to be supplied from some source. If the door is closed and there is no window, this may present a problem, including extended drying times and reduced dryer vent flow that can cause an excess accumulation of lint in the exhaust vent, which is a potential fire hazard. Florida has some of the highest insurance rates in the country, and for good reason. Of the 10 most devastating hurricanes in U.S. history, seven hit Florida — and six occurred in 2004 and 2005. The state is still dealing with the aftermath of 2017’s Hurricane Irma, which caused so much damage that one insurer recruited and trained real estate agents to help them handle the flood of insurance claims. Hurricanes aren’t the only natural disasters to affect Florida — in 2016, the state ranked sixth in the nation for wildfires and seventh for tornadoes. Although Florida fell out of the top 10 for both of these extreme weather categories in 2017, it’s important to know the Sunshine State isn’t always sunny — living in Florida means being ready to take on dangerous weather. There are a lot of factors that go into homeowners insurance rates, and you’re going to want to shop around to determine which provider can offer the best deal. But if you own a home in Florida, you need to be prepared to pay high premiums. The National Association of Insurance Commissionersreports that Florida homeowners with an HO-3 policy pay an average of $1,993 per year, compared to the national average of $1,173. We found that you’ll need to get to know some insurance companies you might not recognize — many of the big insurance providers avoid Florida, and the state’s top five providers include a few local insurers, one government option, and one good neighbor who stuck around. We took a look at those top five providers and compared them using the same methodology and metrics we developed for our nationwide review of the Best Homeowners Insurance. We checked provider ratings with agencies like J.D. Power and A.M. Best, compared lists of policy options and discounts, and even called customer service to see what type of experience a client might get. Here’s how the five candidates stacked up. Tower Hill is the second-largest insurance provider in Florida, but it provides some of the most extensive services, including coverage for water, sewer, valuables, and even identity theft. Tower Hill also offers its own flood insurance. Although Floridians can purchase flood insurance through the federal government’s National Flood Insurance Program, Tower Hill’s flood insurance provides coverage for up to $5 million in building replacement costs and $2.5 million in your home’s contents. We found Tower Hill to be affordable when we compared insurance rates, especially given the comprehensive nature of coverage offered. Tower Hill’s Emerald Endorsement offers a package that can cover additional items, and its Imperial Shield program is designed to meet the needs of high-value homeowners. Not only is it affordable — it’s reliable: Tower Hill received an A- rating from A.M. Best, which means it is very likely to meet its financial commitments (i.e. pay your claims). If you’re new to insurance, Tower Hill has a trove of resources available on its website to kickstart your research process. The willingness to help doesn’t stop there — Tower Hill’s customer service reputation is solid as well. It offers live chat, which is a great option for people who want questions answered in real time and don’t want to sit on hold. However, when we called Tower Hill’s customer service, we were able to connect with a representative in under a minute. State Farm is the only national insurer on our list, and it comes with a nationally-acclaimed reputation. It received an A++ rating from the A.M. Best — the highest possible ranking — and it offers a variety of coverages, including umbrella liability coverage, personal property coverage, and identity theft coverage. State Farm also includes a long list of discounts: If you’re looking for a multi-line discount for both auto and home insurance, for example, you might want to start with State Farm. We appreciated State Farm’s easy-to-navigate website, its educational articles, and its customer service — as with Tower Hill, we were able to speak to a representative in under a minute. One of the biggest differences between State Farm and Tower Hill is the gap in rates. Upon comparing rates through the Florida Office of Insurance Regulation, we noticed State Farm’s were, on average, more expensive than Tower Hill’s. It’s also important to note that, like many homeowners insurance policies, State Farm does not provide flood insurance — so you might have to look to the National Flood Insurance Program (NFIP) for coverage. Our suggestion: Compare State Farm and Tower Hill for yourself by speaking to an agent or asking for quotes from both, as rates will vary. The state-backed insurance program is often called the “insurer of the last resort,” because it’s available to people who don’t have other insurance opportunities — but that doesn’t mean we need to put it last on our list. Citizens doesn’t offer as many coverage packages as Tower Hill or as many discounts as State Farm, but it does include options like personal property coverage and sinkhole damage coverage. You can also get discounts for installing fire or burglar alarms and installing wind-mitigation features in your home. We were impressed with Citizens Property’s Learning Center — like Tower Hill, Citizens offers educational materials in both text and video form to help you better understand how to dissect policies. Unlike Tower Hill, Citizens Property caters to Spanish speakers. However, there is no online form to request a quote — you have to speak directly to an agent to do this or request any specific information. Universal Insurance Holdings (subsidiary: Universal Property & Casualty Insurance Company) is the largest insurance provider in Florida, but we weren’t hugely impressed with the company. Although basic coverages, like homeowners insurance and personal property insurance, were clearly listed and explained, the provider doesn’t give much information about additional coverages or discount options — the only discount mentioned concerned wind mitigation — and we couldn’t get any more detail by calling customer service. Overall, Universal Property and Casualty has a sound reputation with an A+ rating on the Better Business Bureau’s site. This means the majority of people are pleased with the company as a whole, however, the majority of complaints deal with products and less-than-stellar customer service. Universal does offer an online quote tool (and live chat) that can actually be pretty helpful when trying to gauge the annual price of your policy. The more information you fill in about your home, the more accurate the estimate appears on the right hand side of the page. The tool even has a guide to help you explain each step of the process. You can fill in as much information as you want, gauge a price, and continue with the process or leave, conduct a quick comparison evaluation and come back later. This is more interactive and results-oriented than most of our other contenders, with online quote tools that end up directing you to an agent for more information. Granted, speaking to an agent will probably help you get you the most personalized and specific information possible. FedNat isn’t very forthcoming with information on its website (and neither is its customer service). Its website provides a single generic paragraph about the benefits of homeowner insurance before urging you to contact an agent for a quote. However, you can fill out a quote request online, and like Citizens Property, FedNat also caters to Spanish speakers. You can also buy umbrella liability insurance and flood insurance through FedNat, but you aren’t going to learn much about these policies until you talk to an agent. There isn’t even a learning center to help you understand what types of insurance you might need as a homeowner. Although the lack of information on FedNat’s website likely won’t satisfy an initial search, even with the online quote request tool, it certainly isn’t uncommon among local insurance providers. The trend isn’t going unnoticed, though. Insurance companies have historically favored human interaction for sales purposes, and this has caused a lag in their reach to millennials, especially. However, as more people look to the web for quick answers, there is a significant amount of pressure for insurance companies to adapt. How much is homeowners insurance in Florida? Make good use of the Florida Office of Insurance Regulation’s online rate comparison tool to make informed decisions about insurance in your area, especially if a provider’s website urges you to pick up the phone in order to gain any inkling as to the policy’s specifics. Although this tool doesn’t give you a personalized quote, it does let you select from a few different sample homes and view typical insurance rates for that type of home in your county. For example, when we looked at potential rates for a $300,000 new construction home in Polk county, we learned that Tower Hill offered the best rates, starting at $1,725. Meanwhile State Farm offered the most expensive rates at $4,690. You’ll want to get a quote of your own, but this tool can help you decide which insurers offer the lowest rates for your property and in your area. Flood insurance is a must in most Florida counties — but it won’t be included in a standard homeowners insurance policy. If your insurer doesn’t offer a separate flood insurance policy, you can buy flood insurance through the National Flood Insurance Program (NFIP), a U.S. Department of Homeland Security initiative to ensure that homeowners in areas affected by floods have the opportunity to purchase coverage. Why are Florida rates increasing? Florida has high insurance rates to begin with, and they’re only getting higher — especially because Florida contractors are filing more and more assignment of benefits claims. In some cases, homeowners are unaware that they are even signing over their benefits. The Tampa Bay Times reported that “assign over the benefits (AOB)” claims have gone up by nearly 7,000 percent in the last decade — and the more insurance companies have to deal with AOB claims and lawsuits, the more they have to raise their rates to compensate. What is an AOB claim? Here’s how an AOB claim works: A contractor offers to fix a common household problem, such as a burst water pipe, while also asking homeowners to sign over their insurance benefits — essentially seeking payment from the insurance company. If a contractor independently approaches you about damage to your home, they might be trying to get an AOB claim out of you — so tell them you’re not interested. You can always hire your own contractor if you need one. For over 40 years have lived and worked in the Heartland area. Family construction/remodel business. Military Service 8 years with Honorable discharge and Florida state activated twice in Miami. First activation was security detail for the Pope and second was the Hurricane Andrew disaster. Being in the military and years of experience in various forms have given me real world experience in tough situations. Attention to detail is something I pride myself on with the ability to know what is really important when dealing with componets of a home. 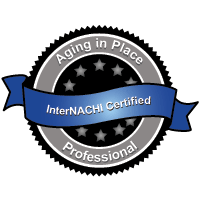 I practice my continual education with interNACHI as they provide the best of courses and information available to stay in step with my field. Welcome to Wayne CollierI Home Inspections, your resource for obtaining VA home inspection servicesBowling Green, Florida. If you need a VA home inspector in West Central Florida who adheres by VA lender requirements you’ve come to the right place. The purchase of of any home is a big deal. But ,for those who need VA Home Inspection Services in West Central Florida it is crucial that your home inspector is qualified and knowledeable in VA lending requirements and procedures. To schedule a home inspection or if you have any questions about our VA Home Inspetion Serivces, please call 863-990-4019 or email us at info@WayneCollierInspections.com. Service provider coming? Here is what you need to know. When you call a septic service provider, he or she will inspect for leaks and examine the scum and sludge layers in your septic tank. Keep maintenance records on work performed on your septic system. Your septic tank includes a T-shaped outlet which prevents sludge and scum from leaving the tank and traveling to the drainfield area. If the bottom of the scum layer is within six inches of the bottom of the outlet, or if the top of the sludge layer is within 12 inches of the outlet, your tank needs to be pumped. To keep track of when to pump out your tank, write down the sludge and scum levels found by the septic professional. The service provider should note repairs completed and the tank condition in your system’s service report. If other repairs are recommended, hire a repair person soon. The National Onsite Wastewater Recycling Association (NOWRA) has a septic locator that makes it easy to find service professionals in your area. The average indoor water use in a typical single-family home is nearly 70 gallons per individual, per day. Just a single leaky or running toilet can waste as much as 200 gallons of water per day. All of the water a household sends down its pipes winds up in its septic system. The more water a household conserves, the less water enters the septic system. Efficient water use improves the operation of a septic system and reduces the risk of failure. EPA’s WaterSense program has many simple ways to save water and water-efficient products. High-efficiency toilets.Toilet use accounts for 25 to 30 percent of household water use. Many older homes have toilets with 3.5- to 5-gallon reservoirs, while newer, high-efficiency toilets use 1.6 gallons of water or less per flush. Replacing existing toilets with high-efficiency models is an easy way to reduce the amount of household water entering your septic system. Faucet aerators and high-efficiency showerheads.Faucet aerators, high-efficiency showerheads, and shower flow restrictors help reduce water use and the volume of water entering your septic system. Washing machines.Washing small loads of laundry on your washing machine’s large-load cycle wastes water and energy. By selecting the proper load size, you will reduce water waste. If you are unable to select a load size, run only full loads of laundry. Clothes washers that bear the ENERGY STAR label use 35 percent less energy and 50 percent less water than standard models. Other Energy Star appliances provide significant energy and water savings. Eliminate or limit the use of a garbage disposal. This will significantly reduce the amount of fats, grease, and solids that enter your septic tank and ultimately clog its drainfield. Own a recreational vehicle (RV), boat or mobile home? If you spend any time in an RV or boat, you probably know about the problem of odors from sewage holding tanks. Parking: Never park or drive on your drainfield. Planting: Plant trees the appropriate distance from your drainfield to keep roots from growing into your septic system. A septic service professional can advise you of the proper distance, depending on your septic tank and landscape. Placing: Keep roof drains, sump pumps, and other rainwater drainage systems away from your drainfield area. Excess water slows down or stops the wastewater treatment process.